Show Princess Limousine on map! A professional limousine company that is committed to providing Yuma with outstanding personal service for special events. Princess Limousine offer reliability, dependability, and flexibility. We supply limos for VIPS's, Anniversaries, Special Events, Sweet Sixteens, Sporting Events, Proms, Birthdays, Weddings, Graduations, Quinceneras, and more! Show Yuma Amtrak Train Station on map! The Yuma Amtrak Train Station (YUM) is located at 281 South Gila Street which is near the intersection of Gila Street and East Third Street. There are very limited facilities as listed below that are available during station hours. The Yuma station serves the Sunset Limited route which currently runs between Los Angeles and New Orleans. 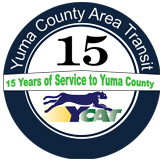 Yuma County Intergovernmental Public Transportation Authority operates Yuma County Area Transit (YCAT) regionally in southwest Yuma County providing 9 routes. Fares are $2.00 one way. Transfers are not available but a day pass is available for $5.00 if your trip involves more than one route. Exact change is required on all routes. Show Yuma Greyhound Bus Station on map! The Yuma Greyhound Station has been closed. YCAT is the Greyhound agent, and passengers can purchase tickets at the YCAT Office, located at 2715 East 14th Street, Yuma. Greyhound buses can be boarded at the Yuma Palms Regional Center Transit Center. Show Yuma International Airport on map! 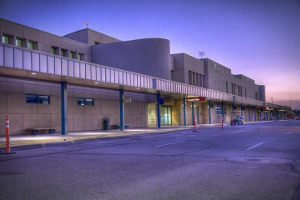 Yuma International Airport is situated in the heart of Yuma, Arizona and offers a calm and relaxing atmosphere for our traveling customers who Fly Yuma. The Yuma International Airport team works hard to ensure that your experience in our airport is an enjoyable one and offers commercial airline service through American Airlines to Phoenix (For Airline Reservations, please call 800-433-7300), four car rental agencies, a restaurant and several relaxing areas throughout the terminal. For our military travelers, we are proud to provide the Military Comfort Center which features plush furniture, Wii and games, several computers to check email and wonderful volunteers who make cookies and lemonade and love to make you feel at home. Yuma International Airport also provides Government and Defense Contractors with first-class facilities and services in support of aviation/aerospace activities in Southwest Arizona. Visit www.defensetesting.com to learn more about how we can support your mission. Show Cosmos Taxi Service on map! Yuma has a variety of other transportation alternatives. 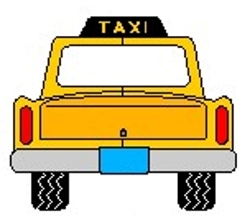 Many taxi cabs work the area with metered and flat rate fare schedules. Several charter bus companies are available for sight seeing and traveling the casino corridor between Yuma and Laughlin Nevada along the Colorado River. Bicycles are also a very popular form of transportation for many. The Winter season in Yuma is ideal for bike riding. Unfortunately riding bicycles in the Yuma area while sharing the roads with motorists can be quite dangerous.